Kolkata, February 5: While Mamata Banerjee was all smiles on hearing the Supreme Court verdict, the entire nation saw her dual face. More trouble has hurled up for Kolkata Police Commissioner Rajiv Kumar who was seen sitting alongside and in the same dharna with West Bengal CM Mamata Banerjee. The Ministry of Home Affairs has issued a notification, asking the West Bengal government to initiate disciplinary action against the Kolkata Commissioner of Police (CP), Rajeev Kumar for sitting in a dharna during duty. The Kolkata Police Commissioner Rajiv Kumar was sitting on dharna with WB CM Mamata Banerjee on Sunday evening after the CBI went to his residence to investigate the Saradha chit fund scam. 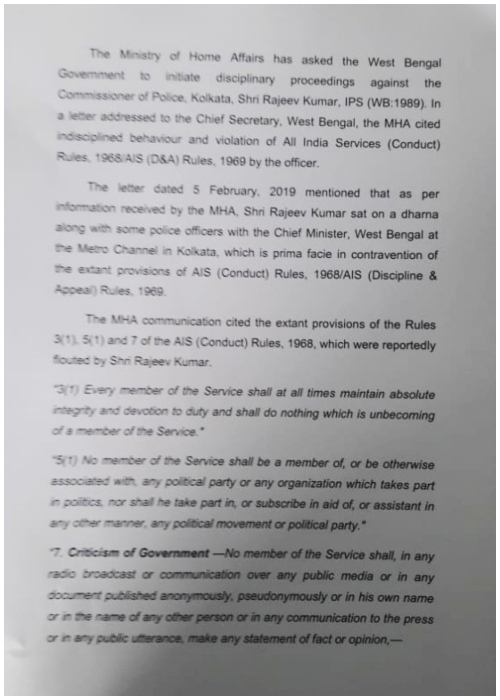 Taking cognizance of the recent events, the MHA has sought proceedings against West Bengal's top cop, suggesting that he behaved in an undisciplined manner and violated certain rules. The notification came when the Supreme Court allowed CBI to question Kolkata Commissioner Rajiv Kumar in connection with the Saradha chit fund scam. The court ruled out his arrest giving a nod to the investigating agency to go ahead with its probe. It all stems up after the CBI vs Kolkata police saga which took place on Sunday. The CBI, while investigating the chit fund scam, had reached the residence of Kumar. But the cops instead detained the CBI officers, alleging foul play by the investigative agency. Following that, Mamata Banerjee led a dharna, in which Rajeev Kumar was also spotted. According to CBI, the Commissioner of Police was not co-operating with the agency and had also tampered and destroyed the evidence related to the chit fund scam. "There is evidence against him (Rajeev Kumar), he has been instrumental in causing destruction of this evidence and obstructing justice. They have taken charge of all the evidence, seized all the documents. They have not been cooperating with us in handing over all the documents and a lot of evidence has been destroyed or caused to disappear." 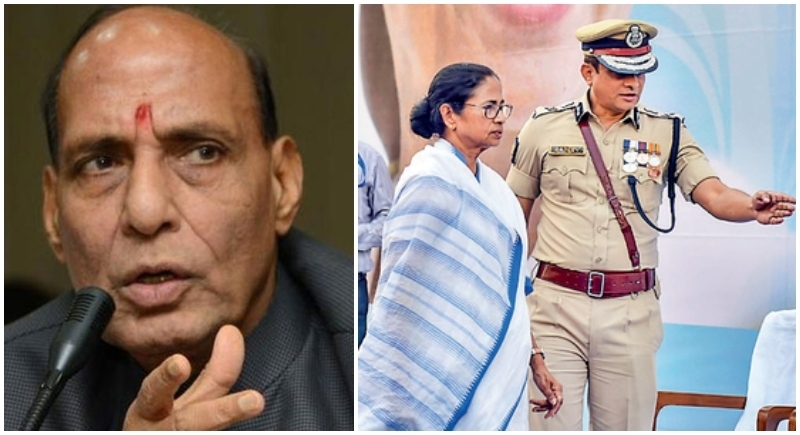 Taking cognizance of the entire situation, Union Minister of Home Affairs, Rajnath Singh had asked the West Bengal Governor to provide the facts of the happening in the state. CM Mamata Banerjee has been trying her level best to cover up the state commissioner and herself by creating a drama by sitting on dharna and accusing the central government.